I love music! All types of music! There is nothing better than watching talented musicians make their instruments “sing” and a crowd of people moving to the beat. This weekend – May 21-24 – is the 18th annual Barndance Historical Society’s Jamboree and Campout Weekend in Blyth. The event kicked off Thursday night and Friday afternoon with Campers Jam Sessions. These are Open Mic-type events where audience members perform to the crowd. 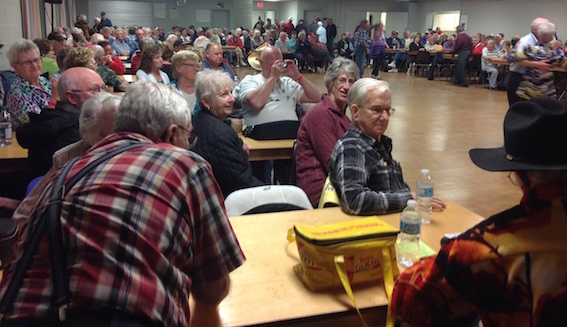 There was standing room only at the Jam Session Thursday night in Blyth. Photo by Gord Baxter. roots music, and a subgenre of country music. Bluegrass was inspired by the music of Appalachia. It has mixed roots in Irish, Scottish, Welsh, and English traditional music, and was also later influenced by the music of African-Americans through incorporation of jazz elements. The evening started with a concert by the Peace River Band, an award-winning group of five who reside in the Niagara region. They played a number of their own original songs as well as popular tunes such as John Denver’s Country Roads, Gordon Lightfoot’s Did She Mention My Name, Hank William’s I Saw the Light and audience favourite Mule Skinner Blues where lead Mary Lou Fitzgerald really got to show her pipes. Closing with The Orange Blossom Special the musicians had a chance to highlight their talent as they took turns playing the melody and improvising around it. This is typical to the style of Bluegrass music in contrast to old-time music in which all the instruments play the melody together. Rapid tempos, unusual instrumental dexterity and complex chord changes are typical and allow the viewer to appreciate the talent of each musician as well as the unique sounds of their instrument – in this case the banjo, the mandolin, the fiddle, and two guitars – one bass. The second part of the evening was Open Stage. The House Band accompanied individuals from the audience who had pre-registered their intent to perform. They opened with a familiar tune. BD from Heather Boa on Vimeo. 40 camping units – more than they had in Year 1 – says representative Gord Baxter. By Friday night, 350 campers were on site (approximately 700 people). 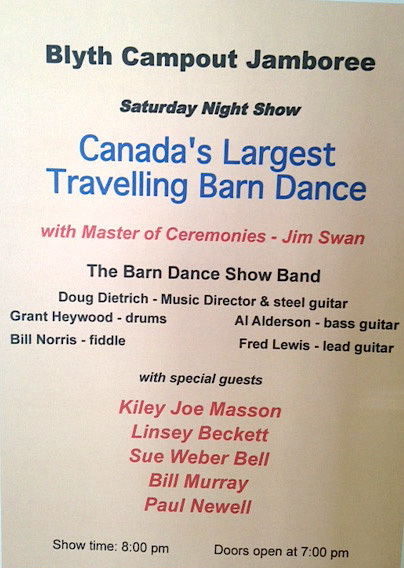 Featuring traditional Barndance Musicians and their special guests. On Saturday, there is a Musical Flea Market and Silent Auction, Open Stage events, a sold out pork chop dinner prepared by Blyth Lions Club and the ever popular Barn Dance Show followed by dancing until midnight. Sunday’s Gospel Concert is one of the most popular events (You can catch the Peace River Band performing there on Sunday if you missed them), with 800 tickets sold already. 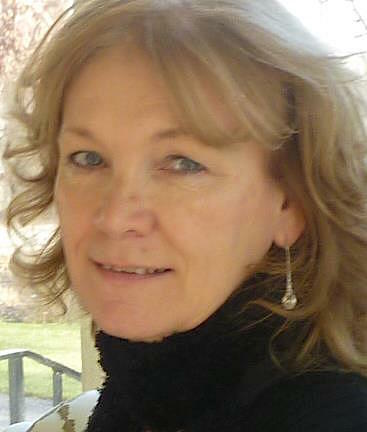 Read more about The Barndance Historical Society and its work at its website. All events still have tickets available that can be purchased at the door, and everyone is invited.